We have another weird bunch of guys to perform coming from Holland this time. COTE D'AVER is a strange phenomenon that will very pleasantly enliven our festival. Their fancy dresses and the whole stage show are really worth watching. A mixture of death metal and grindcore is exactly the area these lunatics are at home. We do not talk about any newcomers however. The guys have been fighting in the scene since 2003. The truth is, however, they are not very keen on releasing their stuff having put out two full-length CDs and a demo so far. Yet their concerts are a totally different story. They have had the honour to share the stage with such names like Napalm Death, Entombed and many others. They performed at many festivals and now the time has come to perform in front of the OEF audience for the first time. 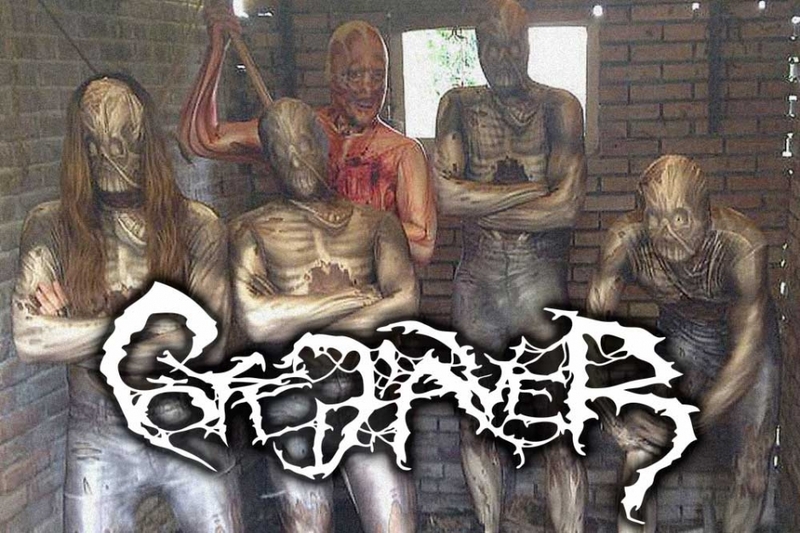 Cote d'Aver was formed in the year 2003 to create brutal death/grind with gruesome yet humorous lyrics. The band decided it was time for a relentless counter movement to the extremely serious approach to image and lyrics in the metal scene. After a well received promo and acclaimed debut album "Masticated Flesh" Cote d'Aver have re-defined their sound and line-up for their highly anticipated new full-length "Proboscis Strangulation". "Proboscis Strangulation" represents everything the band has worked towards for the past several years. Cote d'Aver has raised the bar for themselves and taken musical and lyrical concepts that will drive everybody insane. This is something created by a band thirsty for blood and eager to silence all the critics. It will contain some of the most bone-crushing riffage written thus far and each song will contain speed, darkness, brute strength, and a ‘refined sense of humour’. Having already played with Napalm Death, Jungle Rot, The Rotted, Entombed, Sinister, Defeated Sanity, Despondency and many more Cote d’Aver is ready to pummel the listener with relentless blastbeats, bowelmoving deathgrooves and gruesome vocals. Cote d'Aver will murder audiences with their most relentless songs yet.